In the first year, we explored the meaning of identity and probed into ways of defining oneself as “shimanchu.” Last year, we took it a step further by exploring the responsibilities and possible roles involved with maintaining that identity within oneself and within the community. This year, we hope to look at identity on more of a collective level through the theme of “ʻImi: Seeking Our Dreams.” Once again, we stumbled upon a serendipitous overlapping of words from Uchināguchi and ʻŌlelo Hawaiʻi. In Okinawan, ʻimi means “dreams” in both the sense of the subconscious visions we see in our sleep as well as our hopes and aspirations for the future. In Hawaiian, ʻimi means “to seek or search.” While this expression means two different things in both island languages, they are inextricably connected in that one cannot begin to search or seek without first having a dream and, conversely, the dreams we hold are very much shaped by our ability (or inability) to reach out and seek. Through this lens, we will explore the ways in which we are connected as Shimanchu and, ultimately, how we can start to dream collectively and seek ways to make those dreams into realities. Last year participants had the pleasure of meeting Jun Morano-Miyazato and Ryubu Akamine from Okinawa Hands-On (OHO). This year, we are very excited to have them back, but this time with Program Director Tatsuya Agena and nine other members of their organization. Seven of those nine members are from the OHO Youth Program which focuses on developing socially conscious and responsible young people to become positive influences on their communities. In recent years, the program shifted its focus to Okinawan language, history, and culture as the medium to instill positive values and to build a strong sense of place and identity to achieve their mission. 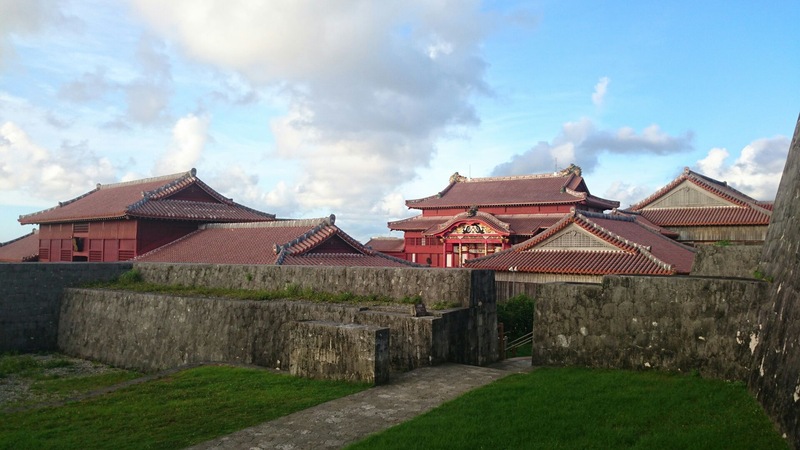 With this shift, Okinawa Hands-On has become one of the leading forces in the still-fledgling efforts at language revitalization and normalization in Okinawa. We will not only get to hear from these blossoming community leaders, but they will present us with their gift of music, dance, and acting in a special performance as the grand finale to this yearʻs conference. The OHO Youth Program uses performance as a way for the members to have a truly “hands-on” approach to their own learning. These unique presentations are written completely in Shima Kutuba (Ryukyuan language) and center around a historical, cultural, or social-issue theme. The youth members must research their own parts, often contributing their own lines or songs. They are encouraged to seek out members of their own family who speak Shima Kutuba to get advice on how to translate their own lines or song lyrics. In the process, the members not only learn about the content of their performance, but also get connected to resources within their own families, all the while creating a means to spread awareness of stories or subject matter that are often not widely known. Okinawa Hands-Onʻs presence at this yearʻs conference is a culmination of a friendship that started in 2012 when the organization reached out to Ukwanshin Kabudan for collaborations on cultural and language education projects. We have always been impressed by OHOʻs dedication, but it really is their membersʻ engergy and enthusiasm that is truly inspiring. The looks on the youth membersʻ faces when sharing in their native language was one of the inspirations behind our theme of “ʻImi.” We hope that you too will be inspired by their words and performance as we go through another weekend of tears, laughter, and, above all, connection.